First Listen: Flying Lotus, 'Until The Quiet Comes' For nearly a decade, the electronic composer has churned out living, breathing collages of hip-hop, dubstep, jazz and blues. Out Oct. 2, Flying Lotus' new album beats with a heart unique to its creator: adventurous but never muddled. 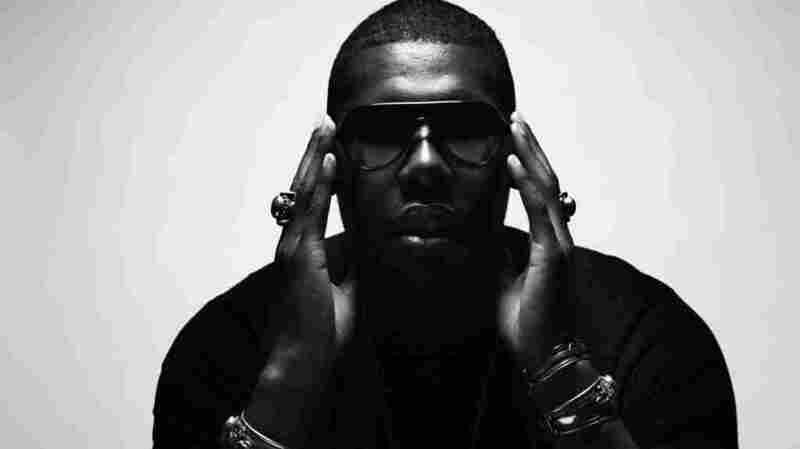 Flying Lotus' new album, Until The Quiet Comes, comes out Oct 2. For nearly a decade, electronic composer Steven Ellison, a.k.a. Flying Lotus, has churned out living, breathing collages of hip-hop, dubstep, jazz and blues. A disciple of the late beatmaster J Dilla, Ellison is the current king of the beat scene in Los Angeles. Both his own music and the music of the artists on Ellison's Brainfeeder label have turned what started as instrumental hip-hop into a sound of his own. It's a wonky bundle of skittering beats, bass-heavy bottoms and delicate, melodic tops. Over the years, FlyLo has added to and refined this voice, and Until the Quiet Comes (out Oct. 2) plays like it comes from a tunesmith intimately familiar with his toolbox. Ellison wends his way through a wide, dizzying canyon of sounds and sensations, all while keeping his cool. The result is intricate enough to make listeners scramble to dissect every little flourish in the mix, but it's also so sonically brash and powerful that it's hard not to let the whole body of sound wash over you. Until the Quiet Comes operates as a continuous thread of music, with a coherent flow of transitioning moods. It starts off busy: "All In" is an introduction spun from bells, snares, shakers, harps, guitars, basses, kicks and a lilting voice in the background. The temperature cools as a voice wafts into the mix and seduces the ear into another barrage of thumping drum patterns. It's a method Ellison has mastered: lulling listeners with intoxicating melodies, then smacking them upside the head with a sobering bass kick. This is far from the only trick in FlyLo's bag. Take, for example, "Sultan's Request": Forceful from the outset, the bending synths romp through the track as though they could rip holes through a dance floor. That is, until the low end comes in: an absurd drop of snaking bass that dwarfs the monster sounds preceding it. Then, Ellison jumps out of this low-frequency swamp back into the upper register, by bringing in helium-huffing samples that bounce beneath a steady string of hand claps. He moves from low to high, dense to sparse, mellow to frantic, dark to light, and almost always hits a sweet spot somewhere in between. Ellison also possesses a knack for bringing in talent, whether as head of the exquisitely curated Brainfeeder or as an artist in search of featured guests. Featured on Until the Quiet Comes are past collaborators Erykah Badu and Thom Yorke. In "See Through to You," layers of Badu's voice are woven into loose, overlapping patterns that function as fibers in FlyLo's sonic quilt. Elsewhere, Yorke's voice haunts "Electric Candyman" with a reverb-thick roll. The Brainfeeder bassist Thundercat is here, too, making an appearance in "DMT Song," a swirling bag of vocals and plucked strings. Niki Randa and Laura Darlington's contributions exemplify Ellison's penchant for using vocals with a ghostly quality to them. At just more than three-quarters of an hour, Flying Lotus' new album beats with a heart unique to its creator. With each release, FlyLo adds to his palette of sounds without cluttering his arrangements. Until the Quiet Comes is Ellison's most sonically adventurous and least muddled journey yet, as well as a trip worth taking over and over again — the quiet can come later.